Many Americans are accustomed to over-consuming when they eat. Holiday time is an excuse to eat even more. 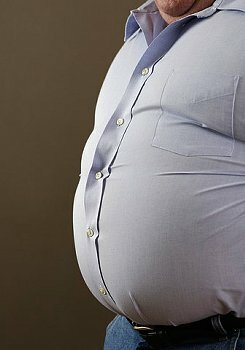 Overeating can lead to digestive disorders, and obesity. Monitoring food intake amounts to personal responsibility for one’s health. A glutton is someone who lives to eat. Don’t skip breakfast, or lunch, in order to “save room” to overeat on Thanksgiving. For the cook: Prepare savory vegetable dishes instead of going overboard on potato, and starchy dishes. Search out creative recipes that give your guests an alternative to turkey, or rich gravy. Use less fat, and sugar. Emphasize more vegetable dishes. Overeating can make you sick. The results of eating too much can cause painful indigestion, stomach gas, and drowsiness. Compulsive overeating can lead to more serious health conditions. Avoid filling up on starchy food, meat soaked in rich gravy, bread stuffing, and sugary desserts laden with cream. Practice mindful eating. Chew slowly, fill your dish with vegetables, avoid cream toppings and sauces that are made with animal fat, and sugar. If you know you have a tendency to overeat food sweetened with sugar, avoid or eliminate added sugar. Unfortunately sugar is added to most processed foods, so you’ll have to be vigilant. Posted on November 18, 2012, in Food, Quick Tips and tagged indigestion, mindful eating, Overeating, skipping breakfast, stomach gas, Thanksgiving. Bookmark the permalink. Leave a comment.